E Vernon Plumbing Solutions is your 1st call for Emergency plumbers. We carry out most plumbing repairs in one visit as we carry a huge stock of parts. Even If we don't have the part on the van, we aim to solve your problem as quickly as possible, by obtaining the required parts as quickly as possible and completing your plumbing repairs without further delay. 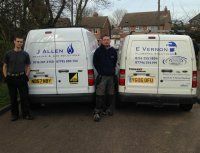 As Plumbers in Leicester, we are well positioned to reach across the whole of Leicestershire. If you need an Emergency plumber Leicester, Hinkley, Melton, Loughborough or anywhere in between then please call us to discuss your plumbing repairs without delay. 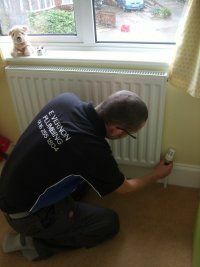 An honest upfront approach to charges makes us a desireable choice for an Emergency Plumber in Leicester. We don't charge for call outs. and our hourly rates are some of the best you will find. We Cover just about all plumbing repairs imaginable, as plumbers in Leicester we are happy to cover the whole of Leicestershire. Here are a few examples of things we fix.